Hans Grimus was born in Austria in 77 years ago in 1940. With opportunities in post-was Austria very few and far between, he heard of a friend’s plan to travel to Australia. So as an 18 year old, and with nothing but $16 to his name, he set off on his travels. After his arrival, he was employed at the Snowy Mountains Hydro-Electric Scheme for seven months. In extreme conditions working 16+ hour days, he escaped death no fewer than 3 times. It was then, by sheer coincidence, that he came across a fellow Austrian in a St Kilda restaurant one night, who helped him get a job opportunity in the winter sports industry. He started as a ski lift operator and soon became the industry's figurehead and director. The Mount Buller area even named one of its flagship chairlifts in his honour due to his pioneering work. In 1969, he opened his first hotel, taking traditional Austrian style and his heritage to the burgeoning Australian ski industry, steadily expanding its 35 rooms to 120. Almost 50 years on, Hotel Pension Grimus is globally recognised as the nation’s number one ski hotel. And the Grimus family are an integral part of Mount Buller’s history and cultural fabric. 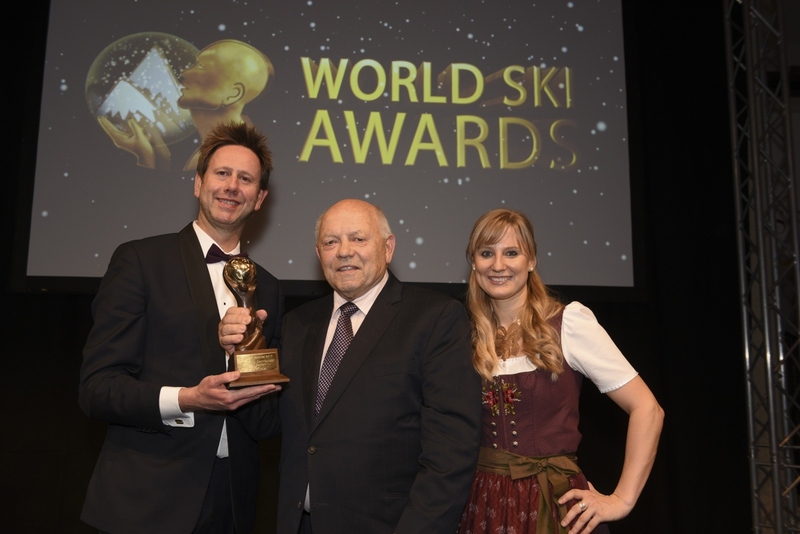 Having received State Honours from both Australia and Austria, the World Ski Awards recognises the remarkable life of Hans Grimus for his huge contribution to the development of the ski tourism industry in Australia, as well as for his promotion of Austria down under. He has presented a piece of Austria to Australia. And at the 2017 World Ski Awards, Australia and the living legend that is Hans Grimus came home to Austria.